Firstly, I am a beginner. Excuse me if this is a dumb question. I have ordered a Wi-Fi switch named Sonoff. I have a doubt whether the device will work if the polarity is reversed or will it get damaged? If I'm correct, AC doesnt have polarity right? Then why do the manufacturers specify Live and neutral on the components? So can I interchange Live and Neutral on this component? IT WILL LEAVE YOUR APPLIANCE LIVE WHEN TURNED OFF. If I'm correct, AC doesnt have polarity right? Most AC supplies have one side referenced to ground and the other side at a significant voltage relative to ground. If single pole switching or overcurrent protection are in use it is safer if they are placed in the "live" side, that is the side that is away from ground. This way when turned off the appliance will not be live. If edison screw lampholders are used it is safer if the live goes to the center contact rather than the screw thread as the screw thread is much easier to accidentally touch than the center contact. Then why do the manufacturers specify Live and neutral on the components? On some equipment, especially older equipment the neutral may be less well insulated than the live. This is less common nowadays though as most equipment is designed for worldwide applicability and many countries use unpolarised sockets. It allows single pole switching and protective devices to be placed in the live side. In the case of a product like this it is desirable to keep the live-neutral distinction in downstream wiring even if the product itself doesn't care. P.S. 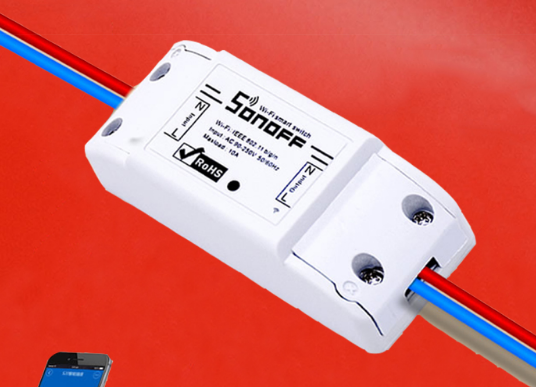 I'm not seeing any evidence that the sonoff has ANY safety approvals. L means live not load. There are two power wires coming from your household (or office) fuse or distribution board. Neutral happens to be the one that is cross coupled to your building earth and that is done for safety reasons. Apart from that, the two power wires are interchangeable regards functionality. Should you swap live and neutral? No, do what the label says unless there are explicit rules in the data sheet or manual. AC power is polarized in the sense that one leg is "neutral" and its voltage is near that of safety ground. Several devices care about that, e.g. A lamp with a screw-in bulb, the outer screw shell should be neutral as you are more likely to touch it. Other things don't care. It particularly matters on switches. Switches should be switching the hot wire, and leaving neutral through continuous. (Since the alternative is sending hot continuous and switching the neutral - bad). Even if this device is listed (tested) for polarity reversal, it passes power through itself downstream. The downstream device may not be listed, e.g. A lamp. In most US cities/states, the law is that you must use a part as instructed, since the listing (testing) is based on that. Not the answer you're looking for? Browse other questions tagged switches load polarity neutral reverse or ask your own question. Can I damage a device using opposite polarity? Does guitar pickup absolute polarity matter?